In a previous post, I speculated whether or not Roger Federer was going to switch tennis racquets. 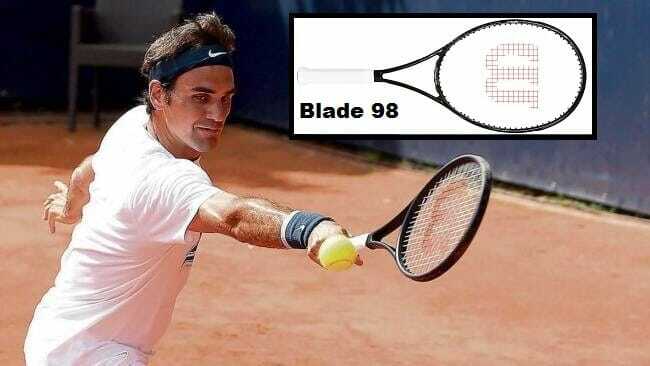 He’s done it, Federer confirms racquet switch! We all know that the Swiss has always played with the smaller, more classic, head size of 90 square inches; at times early in his career, he would even use the Wilson ProStaff 85. The game has changed so much, and with that change, the equipment has changed as well. The days of small racquet heads used for serving and volleying are long gone. Now it’s the grind game or “baseline bashing” as I like to call it. The game played today is mostly played from the baseline, with the victor who can hit the hardest the longest. Yes, I have a new racquet. It features a larger clubhead [racquet head]. So far I’ve played with a 90, now I get to a 98th order. I think 90% of the players on the ATP Tour have club head sizes between 95 and 100 Wimbledon since we have now tested this, and so far it’s going great. I can easily develop with the new racquet power. The racquet change is in my opinion one of the largest for a tennis player. Cool, so he’s got a new frame, like I said previously he’s going to have to tighten up those tennis strings in order to control the additional power that comes from a bigger head sized tennis racquet. What racquet is Federer switching to anyway? That’s for him and Wilson Tennis to know. This information is very close to the chest and won’t be named or confirmed with what exactly he is going to be playing with. But by the looks of things, it look an awful lot like a Wilson Blade 98, but that just might be because the blacked out frame is black and so is the Blade (see below). Even though Federer confirms racquet switch, whatever he does actually ends up playing with, it will be heavily customized by Nate Furguson from Priority One (the company that Federer employs to string and customize his racquets for him on tour) to be exactly as the world #5 wants it. Federer will likely play with his new frame in his second round appearance in Hamburg on Thursday, July 16 against Daniel Brands.